Ahoy matey! This wonderful set will provide hours of pretend pirate ship adventure. Shiver me timbers! 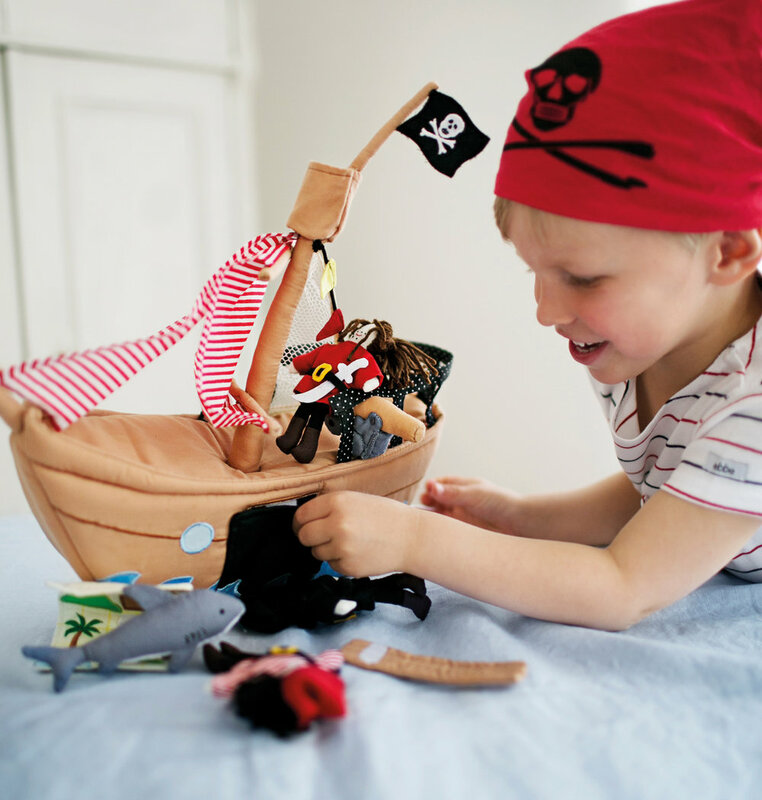 Includes ship, captain, two pirates, removable plank, cannon, treasure chest, treasure map and a shark. Warning: this toy is not suitable for children under 36 months – small parts. In total 9 pieces. Made of 35% cotton and 65% polyester.